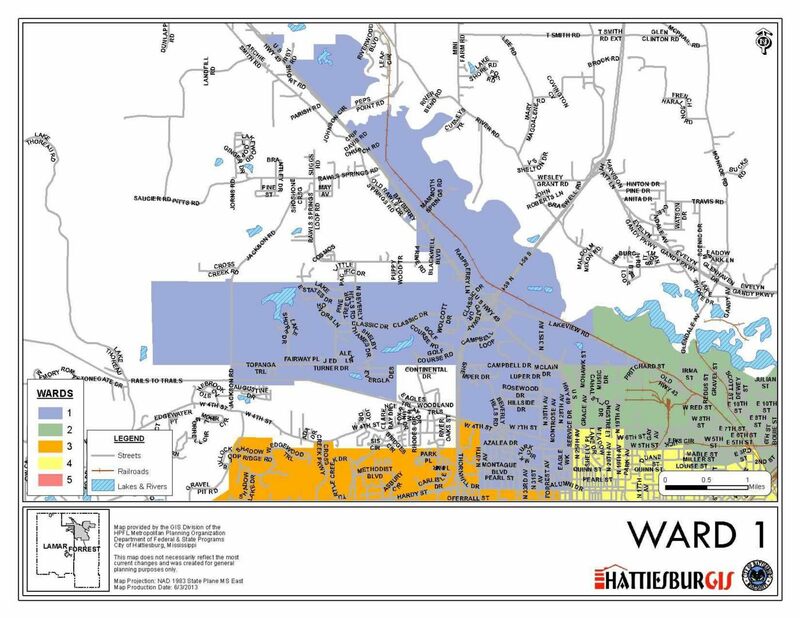 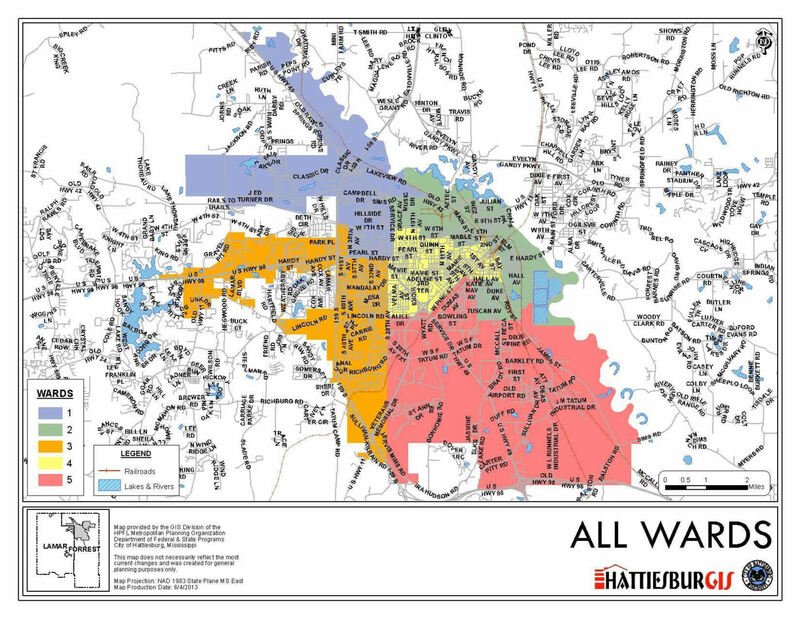 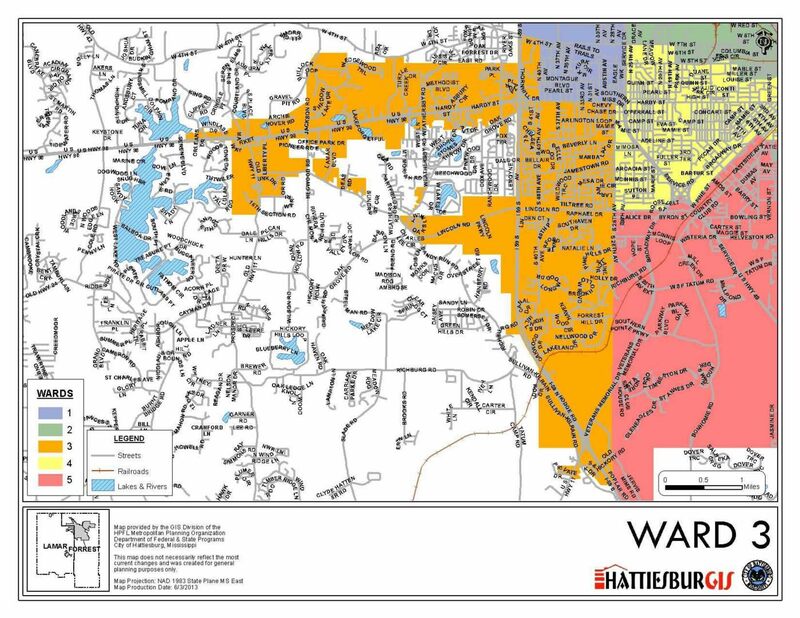 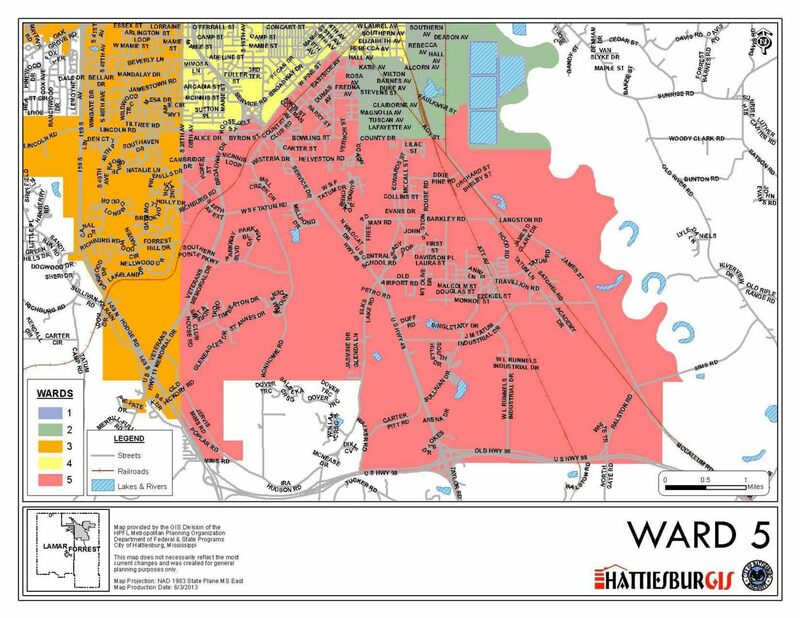 The City of Hattiesburg is divided into five wards. 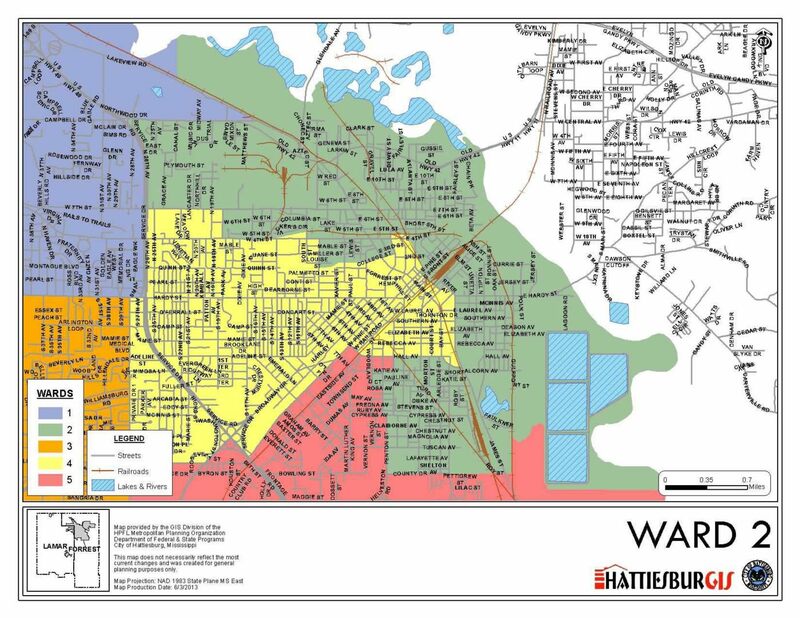 Each ward is represented by a member who sits on the Hattiesburg City Council. 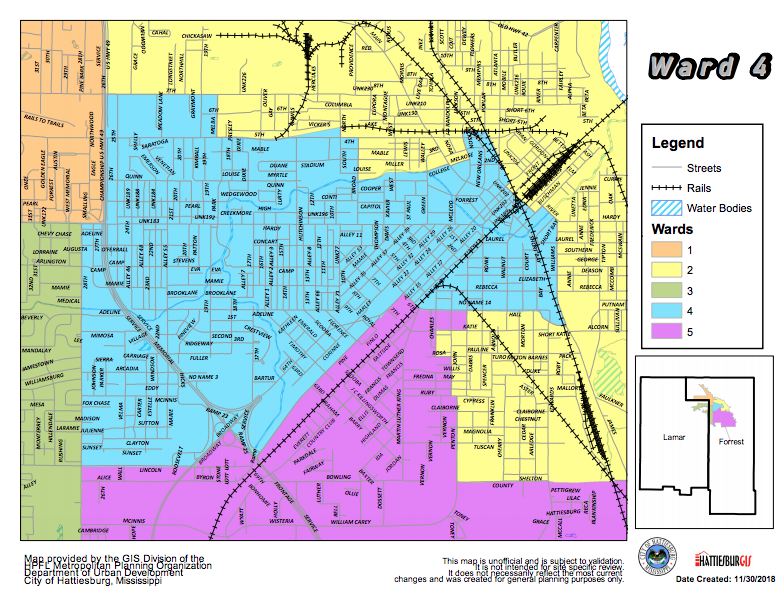 Below is a gallery of all five ward maps.